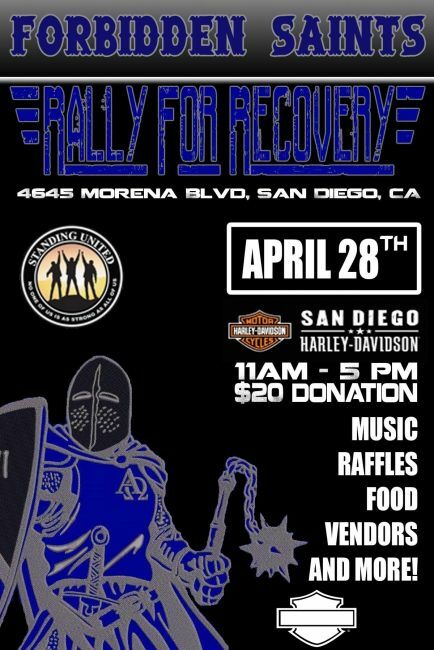 Join the Forbidden Saints at San Diego Harley-Davidson (Morena Blvd.). The event starts at 11:00am and ends at 5:00pm. There will be lunch, drinks, raffles, vendors and prizes. Email events@sandiegoharley.com for more information.